In 1972, after a brief time as Parts Sales Manager for Atwood Motors, the local Holden agents, he joined the Fire and Rescue Service managing up to 30 technicians and worked in this position for 23 years prior to retirement in 1994. His role as Workshop Manager was responsible for establishing and retaining high standards of fire fighting vehicle and equipment design and maintenance. In 1978, following a breakdown of his seventeen year marriage, Wes entered into a journey of self-discovery which included therapy and training in many different modalities including Transactional Analysis, Gestalt, Psychodrama, Sociometry, encounter groups, role training, group work training, meditation, personal development, massage and body work. After five years of personal therapy he became interested in running groups for men. He has completed many hours of group-work training at the local Wasley Institute. Wes has been organising, participating, facilitating and leading men’s groups since the early 80’s. He initiated the Compass Men’s Support group, a weekly, open group for men. This group numbered in excess of 30 men at its peak and was a major contribution to the commencement of interest in men’s issues in WA. In 1992 Wes originated the MensWork Project which provided personal development for men. In 1996/97 Wes was the National Coordinator for the Fathers-Day Project which he structured to encourage good fathering practice for Australian men. His voluntary role was to provide a wide range of suitable events for Dad’s which both challenged the commercial emphasis of Fathers-Day itself, and provided alternative events that encouraged fathers to become more involved in good parenting practice. 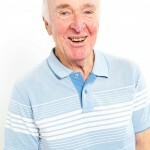 Wes was the prime mover and founding member of the Men’s Health and Wellbeing Association (WA) Inc, which had an initial membership of some 300 men and women and is now a National body. Wes has also initiated and facilitated many mixed gender community groups including, Becoming Bolder Instead Of Older, Writing Your Story – Writing Your Life, Secret Men’s Business for Women only, Secret Old Blokes Business, Before You Go, a workshop created for the local WA Voluntary Euthanasia Society, Exploring Your Social Atom and many other small groups as part of self-development programs for people in the general community. Wes is widely respected in the Australian men’s movement and played a key role in the Australian and New Zealand Men’s Leadership annual Gatherings. He was responsible for coordinating the 10th annual ANZML Gathering in Perth in March 2001 and the 2012 5th National Elders Gathering held in Perth. Since 2004 Wes has been organising and co-facilitating, with Peter Efford, 27 Men In Bali Retreats, these unique personal development workshops are ongoing and have been a source of significant inspiration and change for many men across Australia and New Zealand, they continue to be the central focus of The MensWork Project. In June 2015 Wes received the Order of Australia Medal (OAM) for his dedicated contribution to the health and wellbeing of men in WA. All of Wes’ highs and lows have given him the strength, courage and conviction to want to continue working with people and make available his own life stories as part of a universal human journey. He continues to maintain a healthy lifestyle and active involvement in physical, personal and spiritual development pursuits.